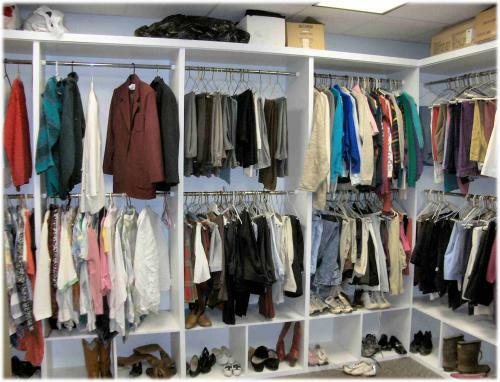 The clothing closet is open on Wednesday from 10:00 am to 1:00 pm No appointments necessary. 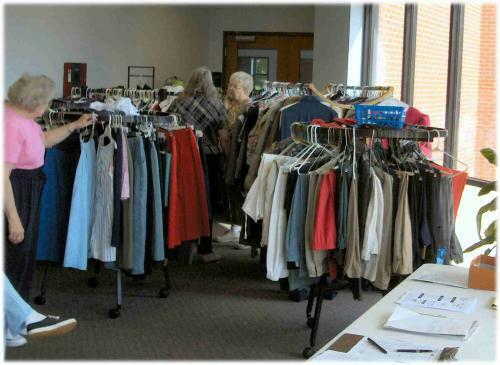 The clothing closet is open to anyone who lives in Cleveland or McClain County. 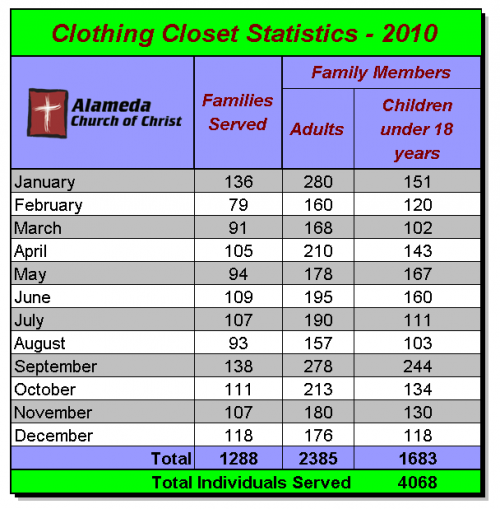 Families are limited to visiting the clothing closet once a month. We can only accept clothing that has been washed and have no spots, soiled or torn. We will not accept clothing that smells like cigarette smoke. We only accept clothing, foot ware and outer ware. We do not accept toys, appliances, pots and pans or other household items. We currently do not have to room to store these items.